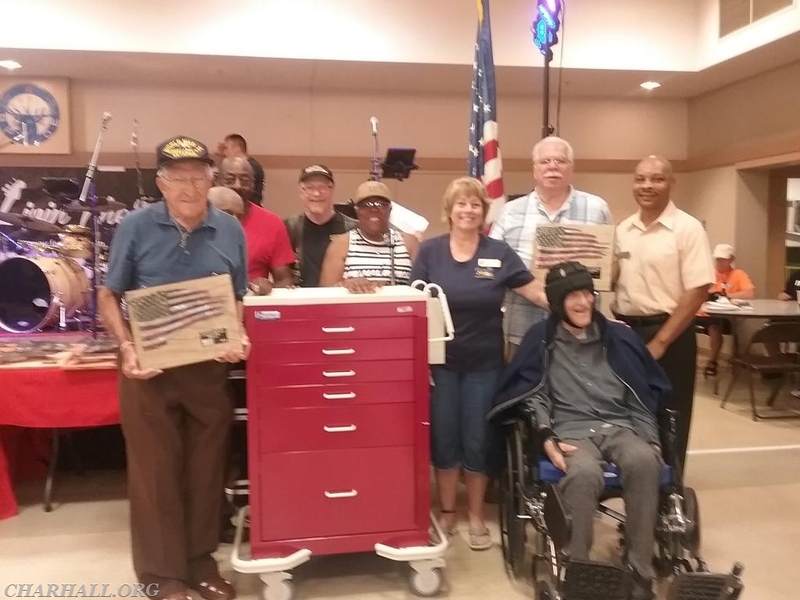 Faces of Valor USA held a fundraiser on June 24th at Annapolis Elks Lodge 622 in Edgewater, MD. There was a Motorcycle Ride, Car Show, and Family Picnic. Veterans from WWII & Vietnam that live in Charlotte Hall Veterans home (average age 80 to 89 years old) were honored at the event. They are hero’s, men and women that have protected us and provided safety and security for our American way of life. With your help and support faces of Valor USA donated12 much needed crash carts, & will help make sure each hero has a 32” flat screen TV’s in their rooms for their comfort. Thank you Faces of Valor for this wonderful donation and honoring our Veterans.